This is the Gwebi River on the road into town this morning. From Friday to Monday 90mm of rain fell – not exceptional but still a lot. A customer who deals with small scale farmers in the Zambezi Valley area told me that the rivers up there are starting to flood. Again this is not that unusual for that area which, being a flood plain of a major river, does tend to be prone to flooding during times of heavy rainfall. Most of Zimbabwe is relatively steep so does not flood that often. A friend who lives in Mutare in the east of the country said they had 300mm of rain from Thursday night to Sunday night which is very damaging given that it is the first major rain they have experienced this season. So you may think we are having a good rainy season in Zimbabwe. Sadly this is not the case as the distribution in time and location has been highly inconsistent. The first rain fell at my work on October 16th, 14mm. Not a lot but certainly useful if followed by more rain. But nothing over 5mm fell until 4th December when 12mm fell. This effectively marked the beginning of the season for us though it was 3 weeks later than it normally is. Elsewhere in the country they have been less lucky, especially in the south, south-east and west. In theses areas, although it is raining heavily now, there will be no meaningful crops this year. 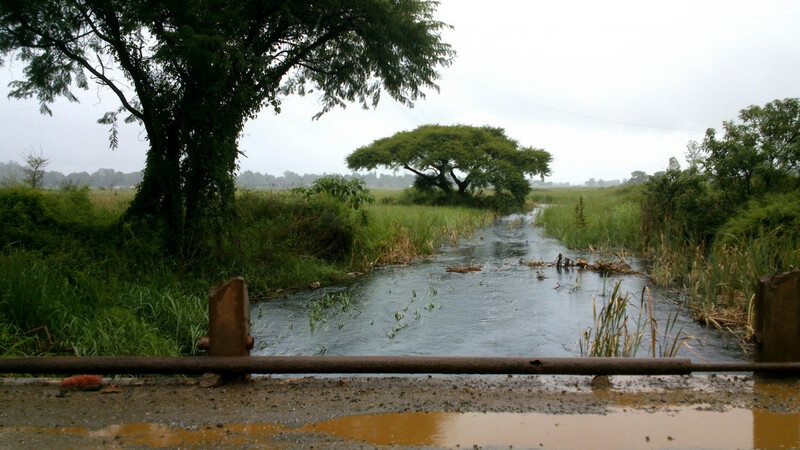 This will be the third year in a row of erratic and patchy rains in Zimbabwe. I would be reluctant to say it is the result of climate change because it is probably within the natural variation but certainly, the regular daily thundershowers that I remember in my childhood appear to have gone.